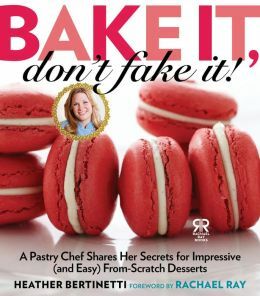 The other day I was reading the Hidden Order Bonus Chapter author Brad Thor gifted to his fans (see our post about it here) and saw that his publisher also had an excerpt available for Bake It, Don’t Fake It with a cover featuring beautiful red velvet macarons. I love to bake and have been wanting to learn how to make macarons for a while now, so I clicked on the excerpt and was impressed with what I read. Then I got really excited when the one recipe I wanted was included in the excerpt. Of course, the excerpt ends right in the middle of the recipe. I suppose this is called marketing genius because I immediately went over to the Barnes & Noble website and pre-ordered this cookbook. Now I just have to cool my heels until it comes out on November 19. But, I’m thinking this will be a perfect dessert to test during the holidays!